Prepare to have Everything is Awesome stuck in your head again, as last night's Oscars played host to a massive performance by Tegan and Sara, with The Lonely Island along for the ride, of The Lego Movie's unbelievably catchy ear worm. It may not received an Oscar nod for Best Animated Film, but all the stops were pulled out for its sole nomination, Best Song. 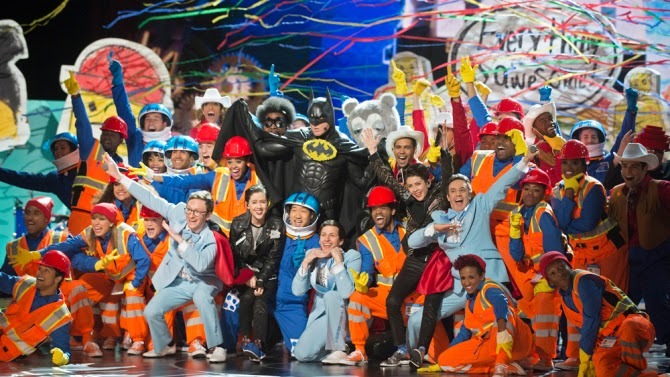 It may have lost to Selma's Glory, but you can't deny this performance, including dancing construction workers and Will Arnett in a Batman suit, is, indeed, awesome.